Designed on a smaller scale, our Palomino Club Chair Set offers comfort with its incorporated slightly angled back support for optimum relaxation. 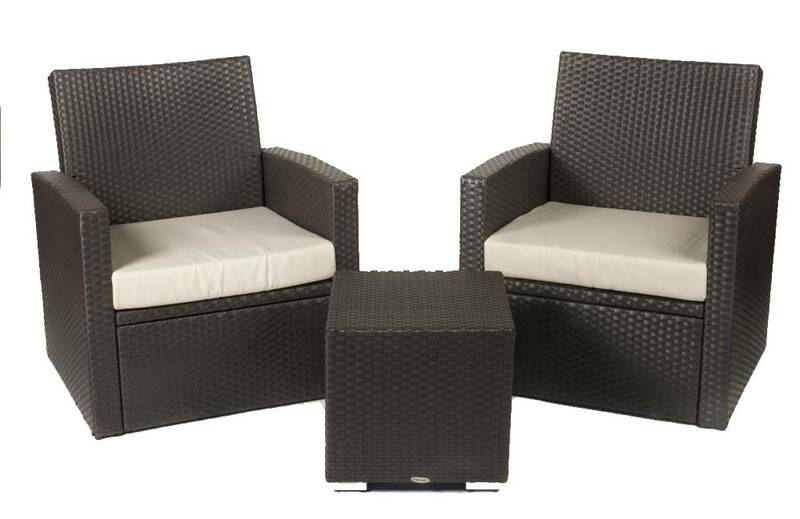 This club chair set is perfect for compact spaces such as balconies and patios. 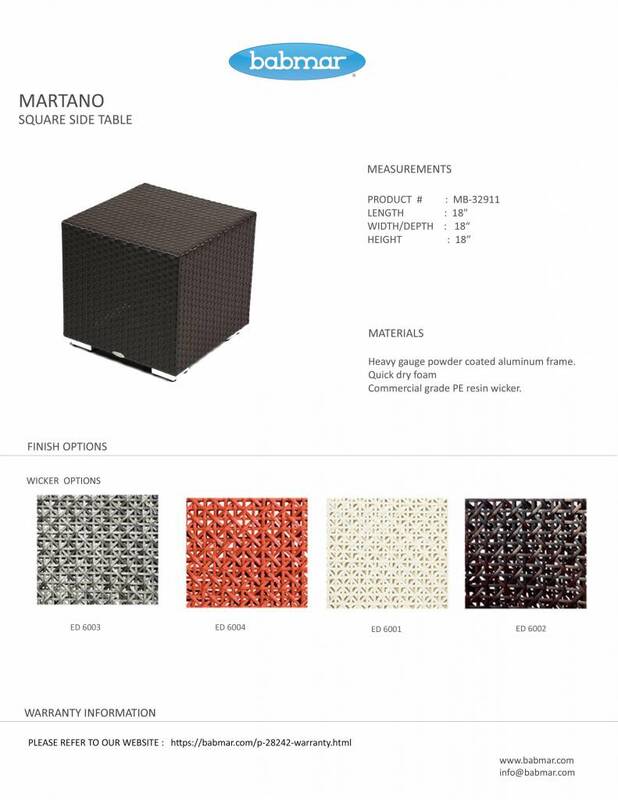 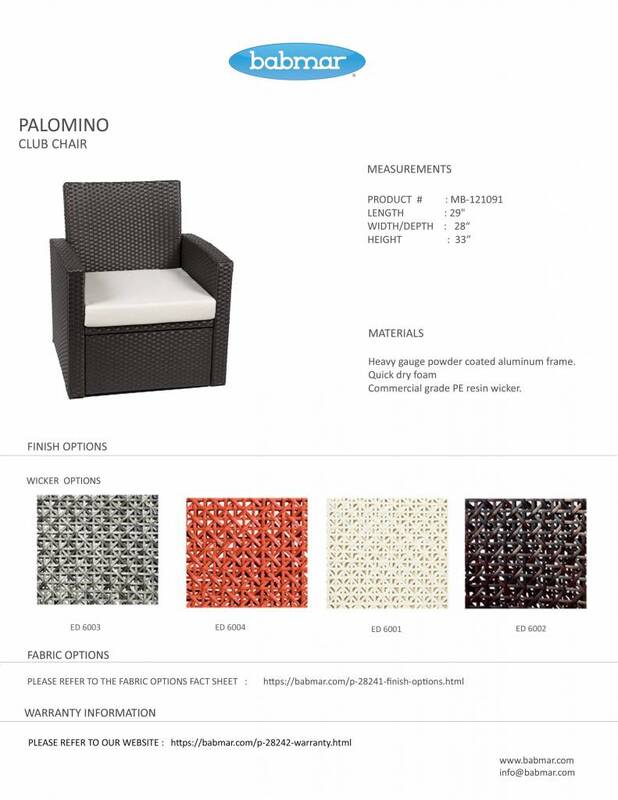 Comprised of hand woven Babmar Fiber®, the Palomino Club chair Set is able to withstand the harshest of elements to last from season to season for years to come. These club chairs are detailed with a 4" thick seat cushions. Glass is not included on the side table.